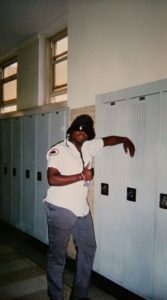 Class of 2005 Alumni, Antwon Christmas passed away on March 20th, after a long battle with Lymphoma. Because of his illness, he was laid off work and lost his life insurance, and was without coverage when he passed away. This leaves his family with an unexpected financial burden. Please help if you can and spread the word and donate any amount that you can. Every single dollar will help. Please visit/contact Steinmetz Reunion on Facebook for the latest. Fellow Alumni are sharing so many photos and memories of Antwon on the page. Services for Antwon Polkst Christmas Sr. will be at New Home Baptist Church, 4804 West Polk Street, Chicago Illinois, 60644. April 1st at 10:00am. The location for the repast following the service is the ACBC Hall, 823 South Cicero (right across the street). All food donations are welcome. For more details and donation details, please contact the Steinmetz Reunion Page on Facebook.